The Wittgenstein On Learning background pages present the Wittgensteinian ideas relating to language, literacy, (cultural) practices, knowledge and equity that impact teaching & learning. WHY NOT SIMPLY A SITE ABOUT LANGUAGE, LITERACY & LEARNING? Wittgenstein On Literacy provides a Wittgensteinian view of language, literacy, thinking, educational practice & more. 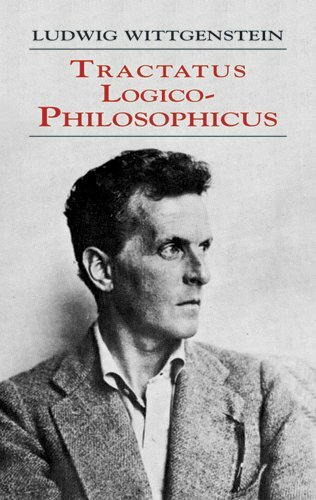 It goes without saying that the site is inspired by the Austrian philosopher Ludwig Wittgenstein (1889 - 1951), who is considered by many to be one of the greatest philosophers of the 20th century   , and is known for his contributions to the philosophies of logic, language, mathematics, culture & the mind. This website is not a summary or an evaluation of his philosophy, though. Instead, it takes the philosophy as a launchpad to reflect upon contemporary aspects of education, whether it is about language & literacy acquisition or equity & culture or knowledge & doubt. So ... why did I create a website about Wittgenstein, language, literacy and learning? Wouldn't it have been smarter to create a direct site about language, literacy and learning that referred directly to curriculum outcomes rather than using a philosopher's axioms as the starting point? I must admit that Wittgenstein's philosophy can appear obscure at the best of times. Clearly, a more general site would allow for more flexibility. That said, I feel I can make a compelling case, and I will do so in reference to three of the major texts: Tractatus Logico-Philosophicus, Philosophical Investigations and On Certainty. At the risk of oversimplifying the issue, I find that Wittgenstein's work provides us with reminders - so to speak - in a few areas: about perception (and seeing aspects), about language (its structure and use), about our words (and our concepts), about learning (the novice and the master), about knowledge (the critical and imaginative practice that it is), about doubt (and certainty) and about culture (and the learning that is embedded within it). Before I continue with this introduction, I should allude to the many sections on this site. I encourage visitors to visit the blog (or journal), the key notes/quote, probing essays, teaching themes, recommended readings and helpful glossaries. Wittgenstein's early work in the Tractatus exhibited a particular fascination with the way in which language (our sentences) represented the world, or aspects of the world. That is, Wittgenstein sought to reinforce how our sentences can capture pictures of facts that can be extracted by a listener or a reader who can proceed to experience facts or events imaginatively without the need for direct experience. Similarly, the writer (or speaker) can likewise use language to construct, assess, re-construct and revise pictures of events, which also presents language as a tool that we use to render our experiences. This simplified concept of language seeks to justify why we speak (and write and read) at all; that is, we convey pictures to one another and ourselves that can - upon decoding - influence our knowledge and our ways of seeing. Therefore, Wittgenstein states that our propositions (or sentences) are able to conjure possible states of affairs which are then open to extra scrutinity to determine their truthfulness. In such case, we can picture the individual working steadily to model out possible states of affairs, thereby exercising the imagination to consider, "what truly is the case?" This observation opens up the speculative dimension of language and literacy and of critical consciousness. We do not only explore what is the case; we also explore what could be the case. We - so to speak - try things on for size, which is a further mental (and imaginative) activity that can be fostered through literacy. Wittgenstein takes the time in mid-argument to stop and state that pictures can only be derived if one happens to have been brought into the language in which messages are spoken and written. If one cannot decode the language, then one is excluded from particular messages that lie encoded in the sentences. Even if one has the biologic capacity for language, this does not equate to an ability to engage in particular languages. This digression in his argument recognises that languages and literacies are learnt. 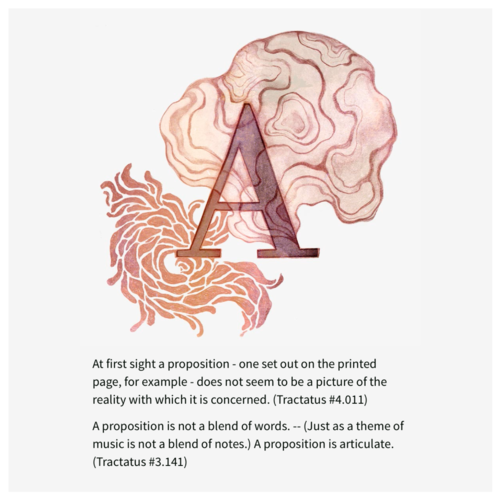 Furthermore, he emphasises that our sentences are in need of processing (in need of a thinker), since a proposition includes all that is required to project a picture, but the thinker must still extract the picture or meaning from the sentences. What is the case - a fact - is the existence of states of affairs. A proposition is a truth function of elementary propositions. The general form of a truth function is [p, E, N(E)]. This is the general form of a proposition. Wittgenstein chooses to remain silent on conceptual and intentional language in the Tractatus, which serves to exclude religious, ethical, aesthetic, technical and other disciplinary languages (or discourses). Statements such as "God is good", "It is against the law to murder" or "Great art is meant to provoke the examination of the human condition" are not assessed by rules of truth or verification. Specialised or disciplinary languages derive their sense and meaning within the practice in which the language is used (e.g. in religious practice, or scientific practice, or artistic practice, etc). 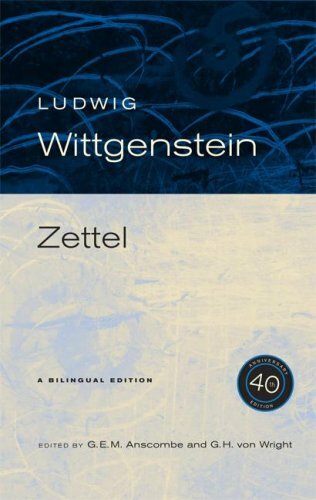 In Witgensteinian terms, their meanings must be shown and become manifest in the experiences of the language speakers (or community of practitioners), which is a topic that Wittgenstein would reserve for investigation later in his career. deriving concrete examples (or elementary proposition) from conceptual statements (or complex propositions). Most importantly, students are asked to challenge themselves to represent experience and/or states of affairs in words and numbers as well as assess experiences that are conveyed in propositions. Requesting, thanking, cursing, greeting, praying." Here "understandings" requires that one knows of, is a part of and cares about the discussion. Rhees uses the word "discussion" in a quite specific manner. Both Wittgenstein and Rhees want their readers to imagine situations in which speakers are dynamically involved in a give-and-take exchange that moves the participants to clarify understandings, explore intentions, develop pictures, and answer questions - stated directly or indirectly - that govern the current discussion (and the participants' needs and interests). In other words, there is an ongoing discussion of, let's say, nature and love, and it so happens that the sonnet, for instance, is one form and forum in which this discussion takes places amongst a community of people who have the desire to explore these questions, themes or knowledge. It is our life in words that comes under continual focus in the Philosophical Investigations, "we talk, we utter words, and only later get a picture of their life." in Part 2, 208e-209e. And, according to Vygotsky (1986), our words allow us to "direct one's own mental processes with the aid of words or signs, [which] is an integral part of the process of [new] concept formation,' (p. 108) We talk about nature. We talk about beauty. We talk about truth. We talk about money. We talk about sustainability. We talk about fairness. And doctors speak about symptoms and diagnoses. Over time, our understanding of key concepts grow and become more nuanced through experience. Rather than seeking essential meanings (or dictionary definitions), Wittgenstein asks the reader to consider the history of our association with our words and to reflect upon the "picture of their life." Most importantly, we gain a picture of language and literacy learning that knows no end, since there will always be new texts to master, new forms to unpack and new situations that will extend and challenge one's skills of interpretation, expression and execution. That said, the child (or emerging learner) is not faced with the prospect of developing such complex skills from the get go. There is a progressive, temporal dimension to this learning where the child is supported by others to develop foundational skills which lead into competency which lead to mastery which lead to further disciplinary practice. 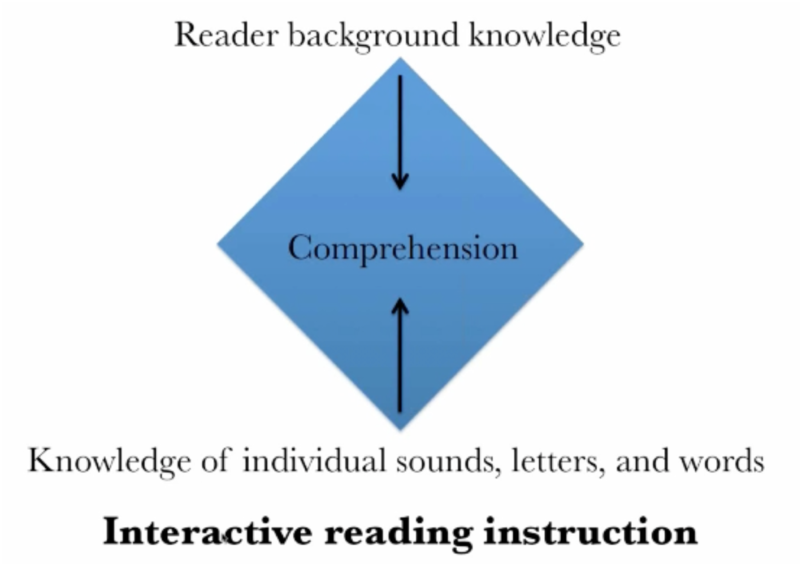 This layered nature of language and literacy learning is represented in the following four schematic images. At the heart/core of Figure 1, we have a Tractarian focus on linguistic structures. However, emanating from the core (like petals of a flower) are the various semiotic domains that one encounters/develops across one's lifetime, which sit nourished within a form of life. (Click here for a further analysis of the image.) In Figures 2 & 3, we are reminded that so-called core, structural skills remain developed "in context with others across time and for purposes ... with the assistance of passionate and visionary teachers who demonstrate a deep respect for individuals and their culture(s)." And in Figure 4, we acknowledge that learning is an interaction between internal (cognitive) factors, wilful (psychological) attributes and cultural (ecological) presences. As a consequence, we leave the Philosophical Investigations with a much more nuanced, multifaceted, and contextualised conceptualisation of language than the one we encountered in the Tractatus. If the Tractatus focuses on language as a form of representation and the Philosophical Investigations focuses on language as practices that one develops, then On Certainty focuses on the knowledge that one gains through our language and cultural practices. In many ways, On Certainty brings us full circle, since it asks the reader to reflect upon the "world picture" that he or she has developed through the vast learning experiences of his or her life. This is not too dissimilar to the "picture theory" of the Tractatus, except that a "world picture" is not an objective representation of the world. A world picture is the subjective picture of the world that one acquires through the knowledge and beliefs that one is led to ascribe to within the culture in which one grows. The interactions with adults, peers and respected texts shape what is and what is not to be investigated, valued or challenged. With On Certainty, we are asked to reflect on the origins of our concepts (words) and our language-games. Therefore, in On Certainty, Wittgenstein appeals to the material and cultural conditions that serve as the cauldron in which knowledge and understanding will brew, thereby leading to an image of (reading) comprehension that requires both perceptual acuity (skills) and links to the individual's knowledge, investigations and intellectual pursuits. We must be concerned by the vast system of knowledge that serves as the bedrock of how we come to know, interpret and anticipate events and utterances in the world. Being able to record and preserve this knowledge is essential for it to be passed on to future generations who we hope will find security in a world picture that will serve them in their way of life. emphasis on the need for teachers to orient students to the background knowledge upon which understanding rests. 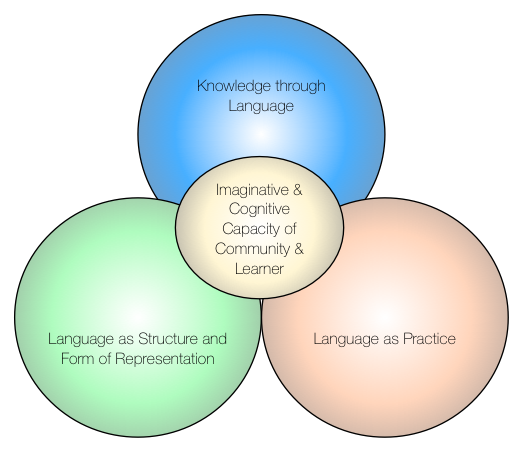 As a result, we gain insights into three dimensions of language: language as structure and form; language as diverse practices; and specific knowledges conveyed to us in language. In each of these perspectives, both communities and individuals must use their imaginative and cognitive capacities to use, deploy and think through language in the great hurly burly of life. If we imagine a learner - let’s say a child - we shouldn’t assume that the learner will simply develop naturally because she gets older. She develops because of the assistance offered by more experienced peers or adults. She develops because of the opportunities offered to her. She develops ways of seeing, of acting, of valuing, of imaging and intervening in the world. She develops because her learning is reinforced by the context she inhabits. She develops because she is prompted to engage with tasks, games, problems and ideas that lie within her grasp, which - once held - can pull her forward. She develops because she is given the chance ... at least, we hope so. Wittgenstein reminds us, "doesn’t understanding start with a proposition, with a whole proposition? Can you understand half a proposition?" 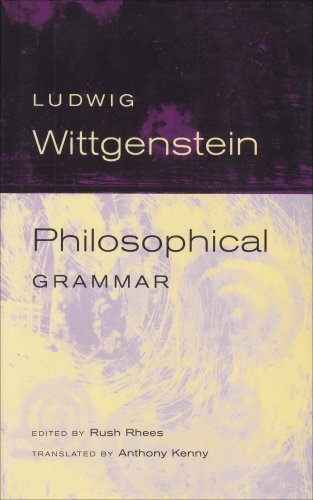 (Wittgenstein, Philosophical Grammar). Whilst we could become an expert in a sliver of the pie - so to speak - this leave us with a less-than-balanced diet. In other words, we could become an expert in a structural, Tractarian view of language, but that would leave one with only one side of the story. Likewise, we could become enamoured with the ethnographic attributes of the Philosophical Investigations, yet this would ignore the elegance of the Tractarian picture of language, form and the imagination. Whilst I am on this line of reasoning, I might as well complete my thought. Neither the Tractatus or the Philosophical Investigations grapples with issues of culture, knowledge, ideology and power. 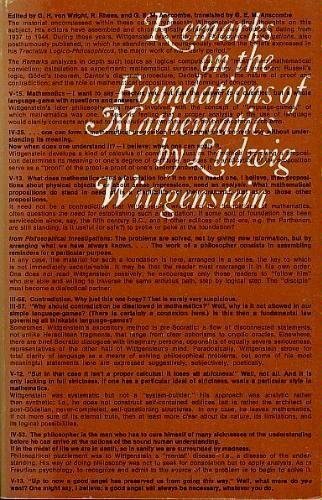 Whilst Wittgenstein may not discuss these themes explicitly in On Certainty, they are the powerful foundations of the book's significance. I welcome you to Wittgenstein On Literacy. I am intrigued by knowledge, language and - particularly - literacy. On one side of the triangle, literacy acquisition is a technical challenge. On another, it is a social endeavour. On yet another, it extends the visual and social imagination. For me, at least, literacy is an area that draws together the many strands of Wittgenstein’s philosophy. We have the picture theory, states of affairs, aspect seeing, language games, mythologies, world pictures, labyrinths, ladders, flies escaping bottles and beetles stuck in boxes. We even have lions who talk. I welcome you to explore the journal, the notes and essays, the glossaries and readings, the areas devoted to language & literacy learning and teaching , and whatever may come in the future. Please explore and enjoy! Day, W. (2010). Wanting to say something: aspect-blindness and language. 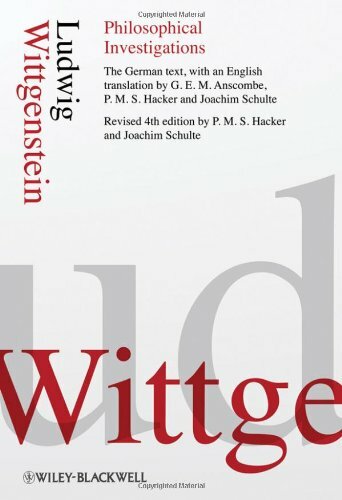 In W. Day and V. Krebs (Eds), Seeing Wittgenstein anew. (pp. 204 - 224). Cambridge: Cambridge University Press. Rhees, R. (2006). Wittgenstein and the possibility of discourse. (2nd Edition). Oxford: Blackwell Publishing. Tunmer, W., Chapman, J., Greaney, K., Prochnow, J., and Arrow, A. (2013). Why the New Zealand National Literacy Strategy has failed and what can be done about it: evidence from the progress in International Reading Literacy Studies (PIRLS) 2011 and Reading Recovery monitoring reports. Massey University Institute of Education. 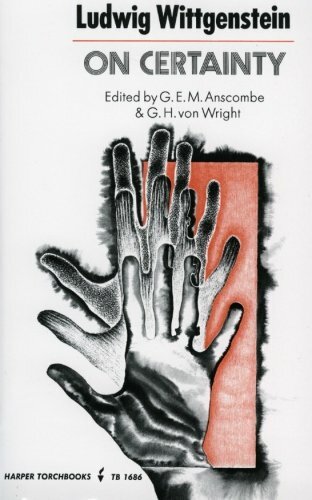 Vygotsky, L. (1986). Thought and language. 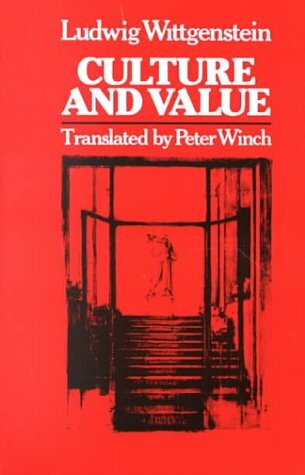 Translation newly revised by Alex Kozulin. Cambridge, MA: MIT Press. _____________ (2001). Philosophical Investigations. 3rd Edition. Translated by G.E.M. Anscombe. Oxford: Blackwell Publishing. The notes include collected quotes pertaining to elements of language, literacy, (cultural) practices and knowledge. The teaching pages present discussions that bridge cognitive and socio-cultural perspectives of literacy learning. The suggested readings pages present references related to the various dimensions of literacy teaching and learning. 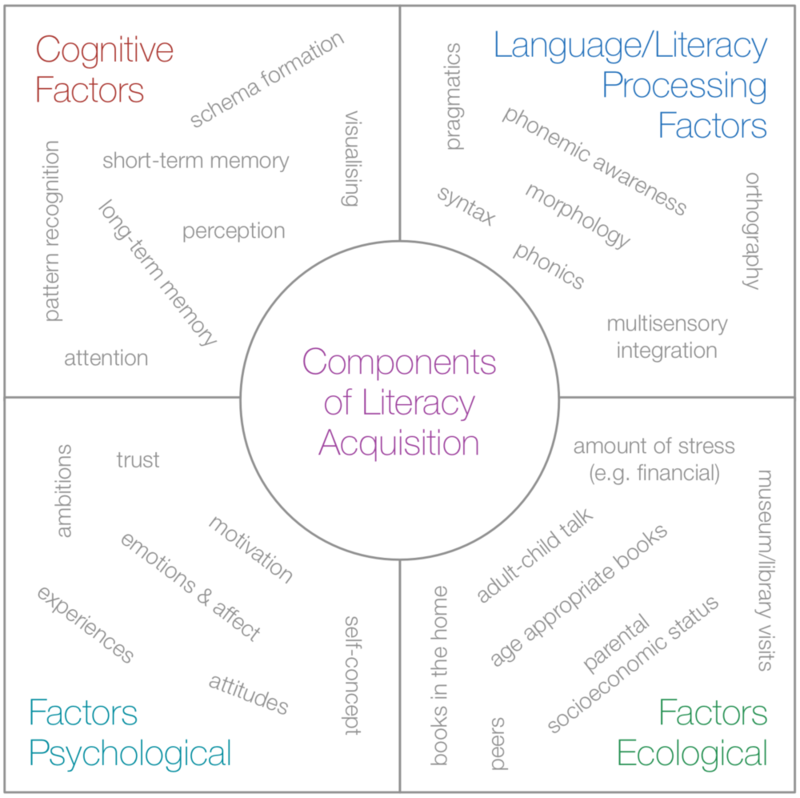 The various glossaries present key concepts related to the development of literacy, language, cognition, practice and knowledge.